Until when do you want to stay in Dubai? I’m taking a break from my travel posts because I’m itching to let this out. After coming back from our short holiday, I am again on reflection mode (hubby calls it senti mode but reflection mode sounds more mature and intelligent 🙂 ) Is it that time of the month again? Maybe. But entertaining these thoughts give me some kind of direction on how I want to lead my life. It draws me back to what I really want hence having these moments re-focus me to my goals. There are times I would think where we will go next after our expat stint here. Have you thought of it sometimes? We’ve been here for more than 11 years and that’s almost all my adult life. I met my husband here, had my 2 kids and made a good career in Dubai. This country has been very good to us. But we are not immigrants and we will never be a citizen of the UAE. We are forever expat in this country and sooner or later, we will need to leave. So what’s our plan? To be honest, we don’t have any concrete plan. Going back to the Philippines seems to be a remote idea right now because what are we going to do there? Setting up a business might be a good option but will I risk leaving my stable job to dive into something unknown? Going back to Philippine workforce is also not enticing. Just thinking of leaving home early, surviving the traffic I see everyday in the news, and be lucky to get paid a quarter of what I’m earning now don’t look very promising. We tried immigrating to another country but that plan didn’t materialize and I think it’s for the best. 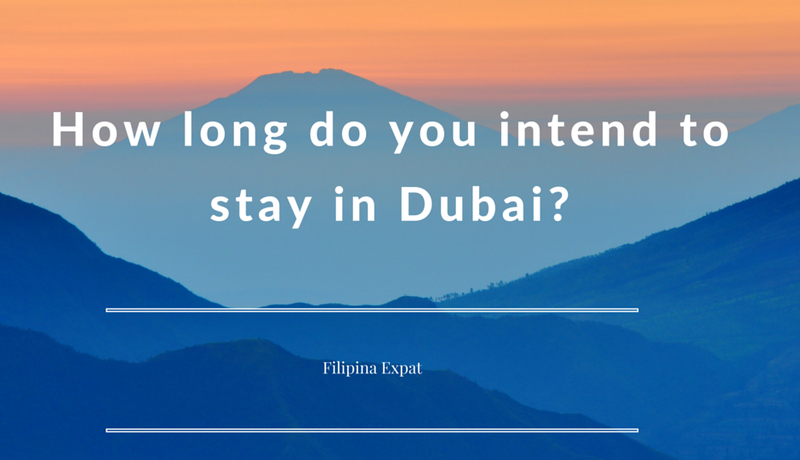 So what does a Filipina Expat need to do while figuring out her next step? I believe the best answer is to save. Save, save and save. Save for an emergency fund. Save for retirement fund. Save for a house. Save for a business. Save for fun (otherwise you’ll get burnt out). Just save. While you’re figuring out what you want to do in your expat life, put a few hundred or thousand in your account every month. I don’t used to be an advocate of saving. Actually, I am the opposite of a saver before. When I first came here in 2005, I couldn’t believe how easy it was to buy stuff. Everything was on sale and buying electronics, gadgets, clothes and bags seems to be more affordable than back home. I was in shopping paradise even with my meagre salary! Top it up with remittances back home, building a family and home here, and rising cost of living, before I knew it, we were juggling to pay several credit cards. But after a few years of living that life – life of credit cards headaches and penniless savings account, I’m glad I snapped out of it. Sometimes I wish I started saving early but I just take it as a learning experience. Most important thing is getting out of that money trap. To kick-off saving, start first with not spending on non-important items. That Starbucks coffee is not essential to start your day. And how many times have you used your gym membership? You also don’t need the latest iPhone, and your family back home will not disown you if you’re not able to send that balikbayan box this year. Also, say no to banks offering all kinds of loans and credit cards. Why do you need more than one credit card? If you can’t think of any justifiable reason (for sure you won’t) then stop accepting it no matter how enticing the bank’s offer is. Side note: just a few weeks ago, I received a call from my bank asking if I want a supplementary credit card. I said no since my husband has his own card. Then the agent continued that I can apply supplementary cards for my children. I felt like snapping because how can you give credit cards to 9 and 4-year old is beyond me but giving her the benefit of the doubt that she doesn’t know me personally, I politely said no. That didn’t make her stop and the last straw was when she said that I can have supplementary cards for my friends. Friends! WTF!!! Seriously?! I literally laughed and told her I’m busy. She still continued that I can take 250K personal loan and that’s when I used my higher-than-100-decibel-note tone and said no. She finally gave up. Ok, the point is just refuse having more credit cards. You can take one last personal loan to pay-off your cards (I highly recommend this approach) and that’s it. If you are currently in a difficult financial situation, remember that it’s never too late. Now that you are done with spending and have realized that saving and investing is the way to go, you, my sassy friend, are on the right track. Just stay focused on your goal (may it be paying off loans or credit cards, or increasing your investment portfolio) and you will notice that doing it becomes easy, and progress (no matter how little) becomes very exciting. Let that excitement fuel your desire to reach your goal. Going back to my reflection mode, now that we have enough savings, the next big question is what to do with it (I know it’s a good problem but still…). What you do with the money you saved determines how financially stable you will be in the future. Do you want to work until you’re 60? I don’t. Well, working for my own business is fine but being employed by someone else is out of the question. Financial gurus tell us not to just let your money sit in a savings account because yearly inflation is higher than the bank’s interest rate which is totally true. On average, UAE’s 2015 inflation is 4.3% and banks’ savings interest rate is just 0.40%. If you decide to do your savings in the Philippines, banks’ interest rates start at 0.25 and inflation is around 1.4% in 2015. Not good. Most OFWs aspire to have property back home. It makes sense but it took us a long time to buy in to that idea. We are torn on the purpose of having a property. Is it to rent it out? Or for us to have our own place when we’re vacationing? Several times we almost bought condominiums in the Philippines but didn’t push through. One thing for sure, we want to buy the property in cash. No loan or mortgage. We will only buy what we can afford and will not take loan to invest for a property. Your strategy might be different but that’s how we roll. You can also place your egg in various investment options like stocks, bonds and mutual funds. We have a little bit of everything and you can PM me and I can recommend some financial advisors both here and in the Philippines. But you know what my biggest goal is? That is to set-up a business here! 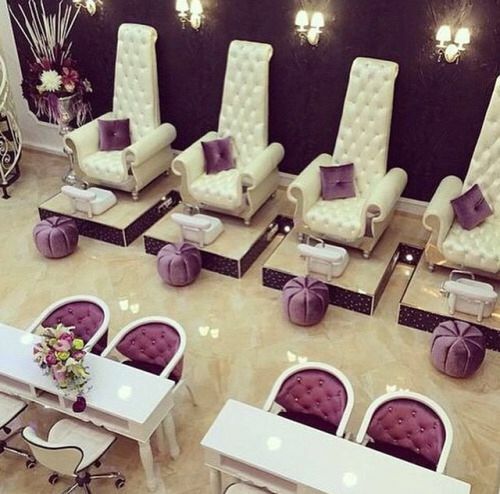 Maybe a beauty salon or restaurant. I’m just looking for a partner who can also serve as a mentor. Dream big baby! And having a business in Dubai means our family will probably stay here for a long time. Grabbed this from Pinterest. This is my nail salon peg! So pretty! Do you want to be my first client? So what is my answer to my own question- Until when do I want to be in Dubai? It goes back to my first answer: I DON’T HAVE ANY IDEA! I know, what a very enlightening answer! Maybe my daughter will end up marrying an Emirati and then we can have UAE passports. Or my children might end up studying in Australia and we will all relocate there. 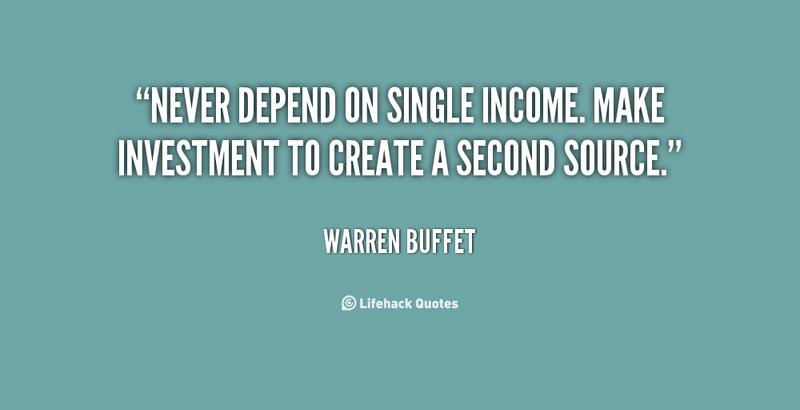 But while we all navigate through life, why don’t we all start saving and investing in the meantime? Let’s start small. Maybe a few hundred Dirhams on National Bonds or start investing small amount to a mutual fund. I don’t really care what they say about these platforms since we have to start somewhere. If there’s one thing I know we will all agree on is that we don’t want to leave this country with nothing but our old clothes and tattered furniture, right?! This entry was posted in Musings, OFW, Positivity and tagged Dubai, dubai expat, filipina expat, filipino expat, Pinoy Blogger, Pinoy in Dubai.